Another beautiful Autumnal sunshiny day for Hannah & Craig’s wedding! Paul and I love photographing weddings in Sheffield. Hannah was excitedly getting ready at her family home before heading to All Saints Church in Ecclesall for the ceremony surrounded by friends and family. In between the ceremony and reception we headed to Kenwood Hall for some photographs in the lovely grounds with the Autumnal colours – Love it! The evening reception took place in Baldwins Omega where guests arrived for photographs at the flower wall before taking their place for the meal. After the speeches the guests were treated to a first dance routine by the happy couple. Sheffield wedding photographers Paul & Helen love to photograph weddings in a relaxed, informal style capturing emotions as they happen. They are based in Fletchertown in Cumbria and cover weddings in Carlisle, Keswick, Cockermouth and all over the Lake District. 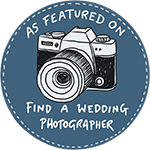 They also photograph weddings in Sheffield, the Peak District and all over Yorkshire!